The NHWA is contacted for all kinds of information, by potential clients and Home Watch companies who are just starting, and by those looking to raise their level of professionalism by becoming accredited. And by far, insurance is the number-one reason we are contacted. Clients want to know about the vetting process, insurance requirements for accreditation, and of course any other information that we can share about the company. After all, this is a huge thing to most homeowners: “Who to trust?” By providing this information to the homeowner, they are much more confident in proceeding with the process of choosing a company. Makes sense, right? But let’s talk about trying to obtain that insurance, and why it is so difficult. 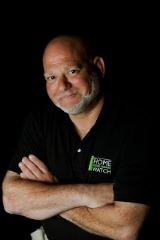 When I started my Home Watch company, Coastal Carolina Home Watch, in 2005, I faced a nightmare trying to obtain not only general liability insurance, but professional liability (E&O–errors and omissions), bonding, and auto insurance. The problem was–and still is–that our industry is not a classified one. We have no NAICS (North American Industry Classification System) Code. So as a result, insurance companies don’t know what to do with us. My own policy was very expensive, because insurance underwriters always look to protect the insurance company, and there was very little information about Home Watch available. So that equated to higher prices for me and companies lucky enough to find coverage. In the earlier days of the NHWA, insurance had to be presented and verified prior to membership being granted. The classifications from so many “covered” companies were all over the place, and it was very obvious that it was only a matter of time before bad things happened to a member whose insurance was classified incorrectly, leaving the homeowner and the business owner really vulnerable. But that all changed a few years back when, after years of trying, the NHWA finally got what it needed: the chance to talk to–and make sense to–a national insurer. With the help of a few people across the country, we were able to develop our very own insurance program. I am happy to say that this very comprehensive policy covers exactly what a professional, accredited Home Watch company does, as well as some additional services that are likely done during the course of business. Now, I want to make clear that this policy is available to members ONLY. It is a perk of membership to be able to obtain this policy. It is available in all 50 states, and once you become a member in good standing, you will be able to speak with our select insurance people. If it seems like I am being secretive…I am. We worked extremely hard on this, and the insurance company will only work with companies that look to put their businesses above those who might not have their clients’ best interests in mind all the time. In other words, members of the NHWA. Now, of course there are good companies out there who are not members, but Accredited Members of the National Home Watch Association are held to much higher standards. And when it comes to proper insurance, there is no compromise. Being classified as a “house sitter” or “miscellaneous services” or “security” or even “personal services” is not what we do or who we are. Don’t carry insurance that might not cover what you do. It won’t protect the client, and it certainly won’t protect your company. Remember that while the insurance is a great benefit of being a member, it is by no means the only reason. If you’d like more info, please give us a call at the office at (843) 357-6660. We’d love to hear from you.